There’s never a dull moment in the life of Lindsay Lohan! As with every legal case that involves Lindsay over the past few years, this one is a doozy, too. Lindsay has been reportedly spending a lot of time at the home of the wealthy investor Sam Magid. 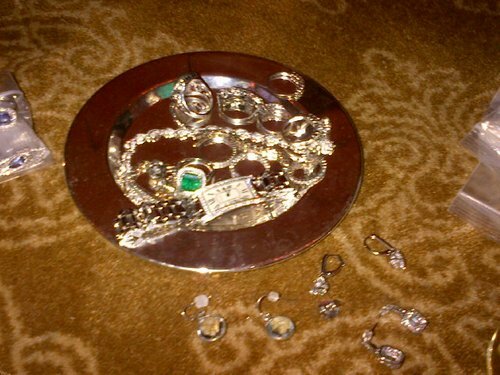 Last week during an overnight party, Sam called police to his home, claiming that $100,000 worth of jewelry had been stolen. At the time police said that Lindsay, who attended the party with her assistant, was not a suspect. The next day, Lindsay jetted off to NYC to stay with her mom. Today the LAPD have officially changed Lindsay’s status to “suspect” in the case. Oddly, Sam changed his tune and said that nothing had been stolen, but police are going forward with the investigation because witnesses claim to have seen Lindsay stealing the goods!? Lindsay’s lawyer is refusing to let the police interview her at the moment. The actress is still on probation for that OTHER jewelry theft, so things could get really sticky for Lindsay if the police find any evidence that she was involved. Just when it seems that things might turn around for her, something else wacky happens! Do you think Lindsay will ever get her life and career back on track? Weirdly, Lindsay took to Twitter to share the photo below, with the caption “Cleaning MY jewels 🙂 …… I love feeling like Elizabeth @DameElizabeth @damelindsay”. (She is playing the role of Elizabeth Taylor in an upcoming TV movie).